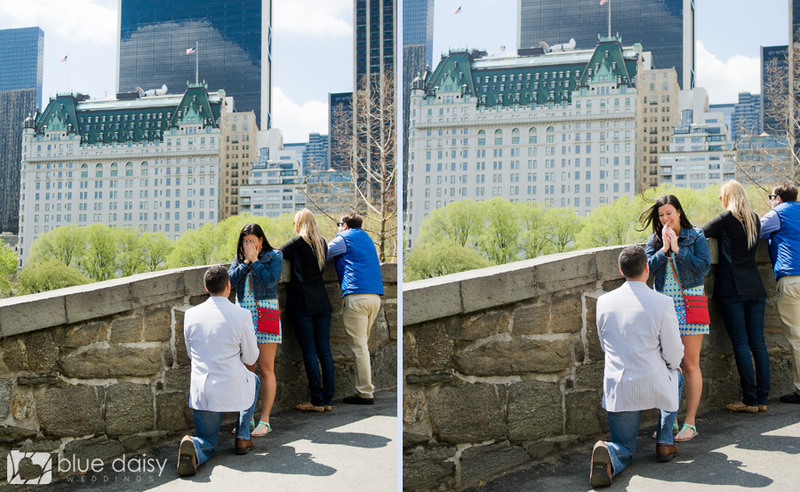 I had the pleasure photographing Bryan’s surprise proposal to Noel in Central Park on the Gapstow Bridge. Bryan contacted me months in advance to help him document the special moment when he asks Noel to marry him. He chose the beautiful and romantic Central Park landmark, the Gapstow Bridge, to propose down on one knee to his girlfriend. Noel was surprised and shocked and she said Yes! She thought they are coming to New York City for a dinner in her favorite restaurant and a Broadway show. After the proposal the three of us walked around the park to create some lasting memories and some engagement portraits of the freshly engaged couple. Best wishes and lots of happiness to Noel and Bryan! 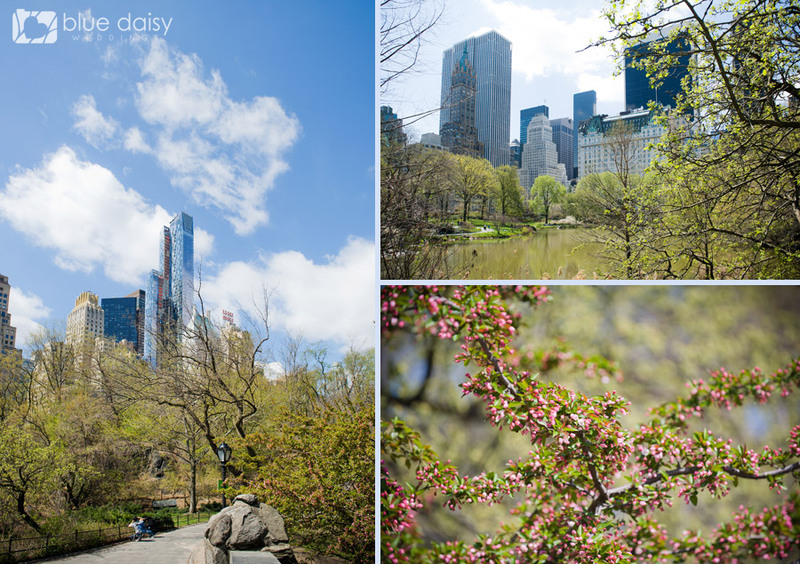 Central Park surprise marriage proposal photography by Mariann Szucs ~ Blue Daisy Weddings.